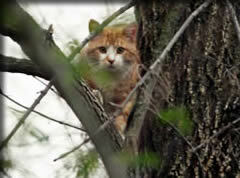 Over the years Burley Boys has been called many times to rescue cats. 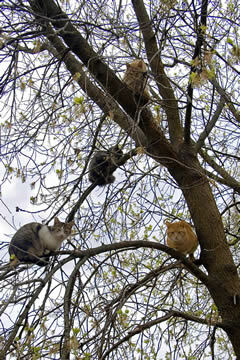 If your cat or other pet has climbed a tree and refuses to come down, a skilled climber is what you need. When you need a skilled climber, there’s no better choice than a Burley Boys climber who can not only climb the tree without harming it, but get your furry friend down safely.